It was a beautiful and wonderfully warm weekend here at the old farmhouse and we accomplished so much. 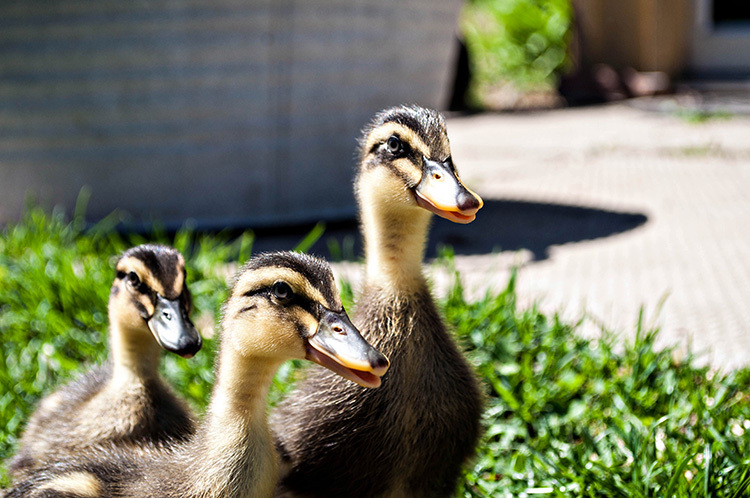 We baked, we foraged, we canned, and we even made soap but it all pales in comparison to our time spent with these three little ones. 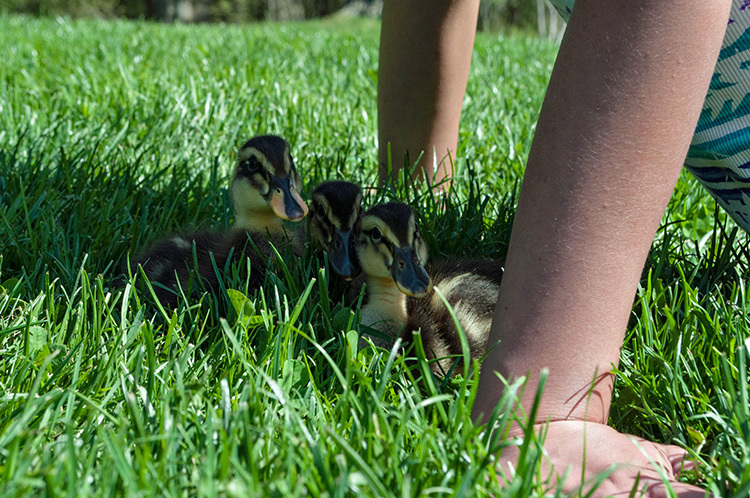 We introduced them to the great outdoors and their first swim, under close supervision, of course. Let me tell you, they never stop moving. Ever. Well, wait. A loud bird flew overhead and they stopped dead in their tracks, but other than that, never. When you kneel down on the ground around them, they quickly scurry underneath you. 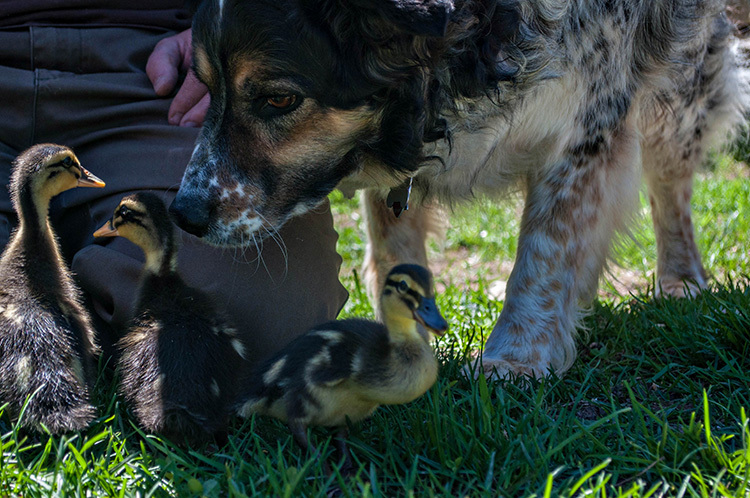 Hiding under a surrogate mom is a study in instinctive survival skills. And when they dry off in the warm sun and nibble at your toes, your arms, or your camera strap and then curl underneath you for a super quick siesta...you realize they really are cuter than kittens. But I'll let you decide for yourself. Adorable. I liked it when they stretch and shake their tiny wings! Your blog gives me a country-style peek from my armchair in my suburban home! Sigh! Aw love that pic with the pup. Just a tiny groan . 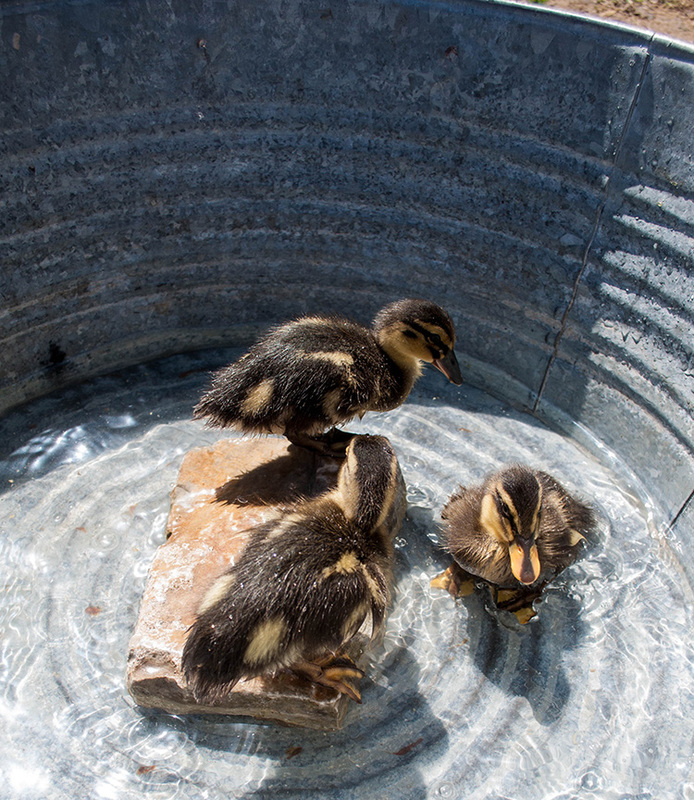 . . so perfectly adorable in the galvanized swimming hole . 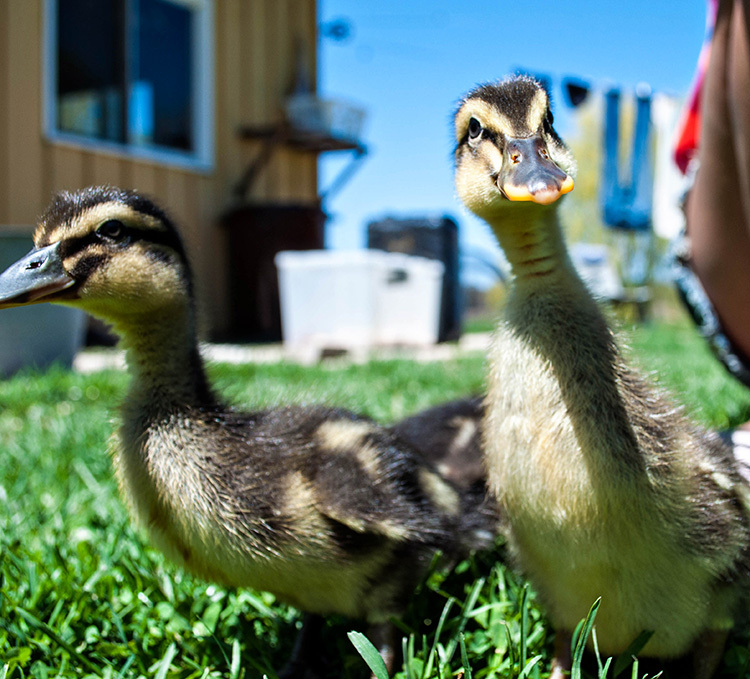 . .
Baby ducks are just precious. We got 4 at the beginning of Spring and they are already "teenagers" as my kids likes to call them. Basically they are past the cute stage..... Still fun to have around though. They certainly are cute! 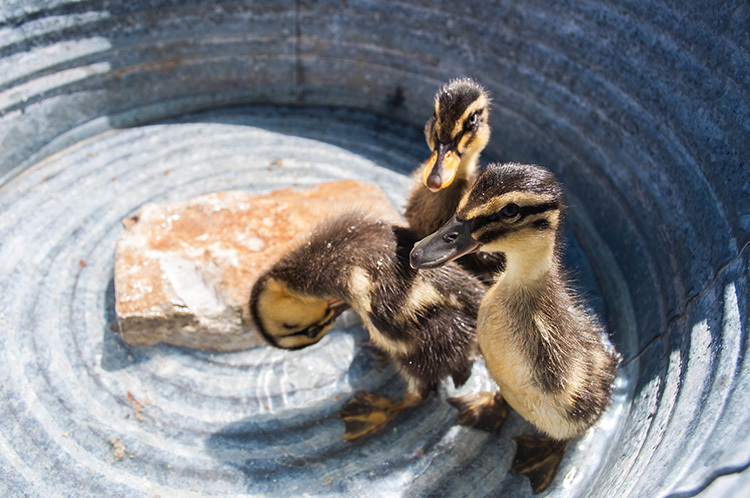 We had wild ducks in our fish pond a while back. I loved watching them swim.